The compelling reading of the author brings this weighty work to life! 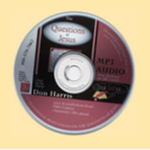 Over 24 hours of devotional listening on only 1 MP3 disc. Use your IPod, computer, or MP3 player to listen to this wonderful devotional book anywhere you go! 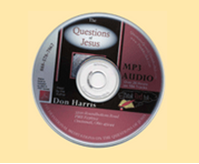 Nearly 500 pages, The Questions of Jesus can be a daunting read. Try the audio format and you’ll find yourself listening again and again. If CDs are what you want, we can do that too. A 24-CD set gives you the unabridged version of this fabulous book.